The unit is outwardly and functionally identical to the PGI-9 unit (albeit with the obvious compatibility differences) and manufactured to the same high quality complete with USB power cable source. This particular unit is powered via a USB cable (provided) so you don't need to worry about any batteries running out. 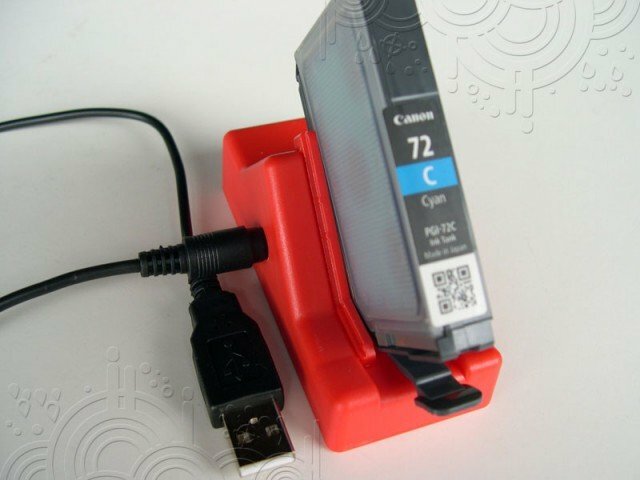 PGI-72 (and PGI-9) cartridges are used by a much smaller subset of the printer market and as such have a higher price/cost to cover the costs of development.